We are strategically located to meet and exceed your expectations. We utilize the latest technology to ensure accuracy during the receiving, picking and delivery process. 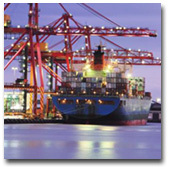 Whether your products need to go to the Carribbean, Central or South America, DP Distribution can deliver.